We have been designing and manufacturing home lifts in the UK for 35 years. Our Residential Elevator provides smooth and quiet through-floor travel and is an impressive addition to any home. 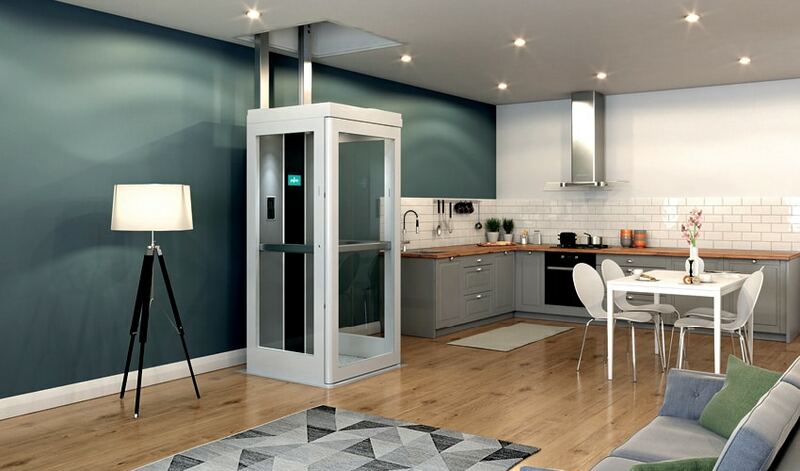 Designed to be easily installed in a wide range of homes, the Residential Elevator is available in a range of sizes and with travel distance up to 4.2 metres. It travels on elegant vertical elevator rails that means when the lift is not in the room you can enjoy all of your living space. Manufactured to the highest safety standards and with a range of optional extras, our Residential Elevator is the ultimate choice for adding value to your lifestyle at home. 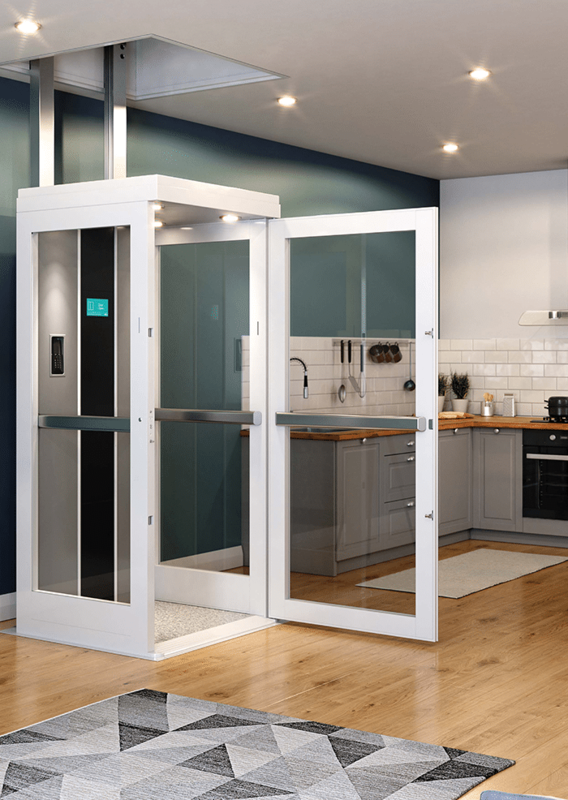 Compact – single person Residential Elevator. Twin – compact and attractive two person Residential Elevator. Wheelchair – an innovative lift that helps wheelchair users live independently at home. Typically installing your home lifts takes 1 – 2 days and there should be no requirement to redecorate one your home lift is installed. Our home lifts come with a 12-month warranty for all parts and labour. In the unlikely event of a breakdown our support team are available 24 hours per day, 365 days per year. Our home lifts come in a range of sizes to suit individual needs as well as the available space in your home. 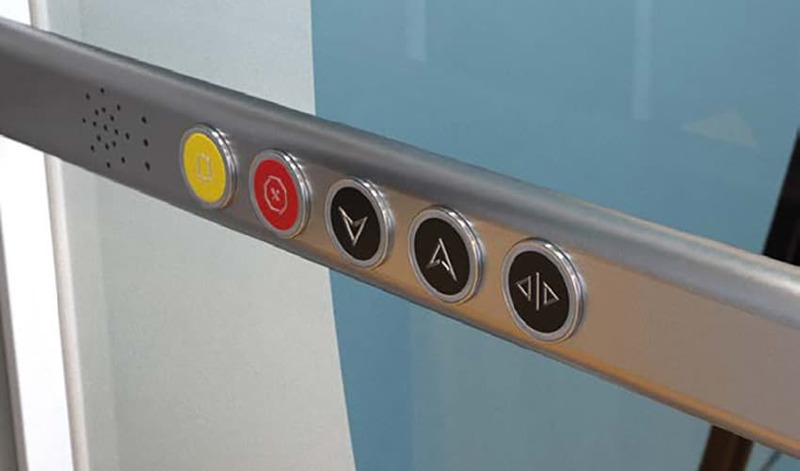 In the event of a power cut, your home lift has a dedicated battery back-up which will always return to the ground floor where you can exit the car using a manual release. 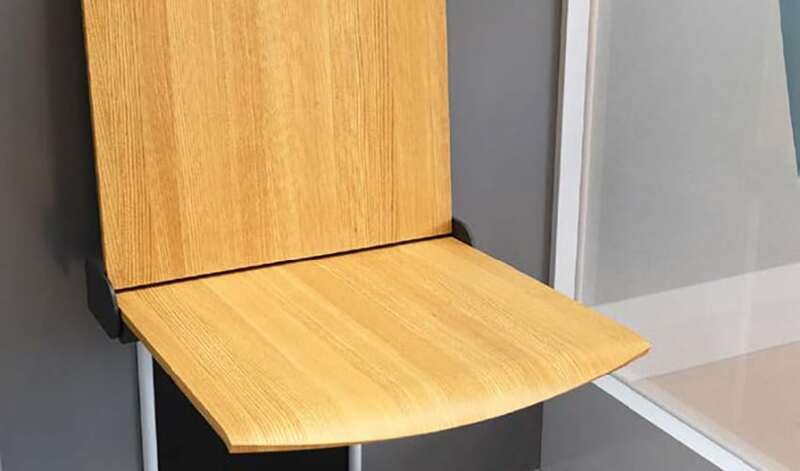 Service agreements are available post installation to ensure that your lift is serviced and operating in a safely for years to come. 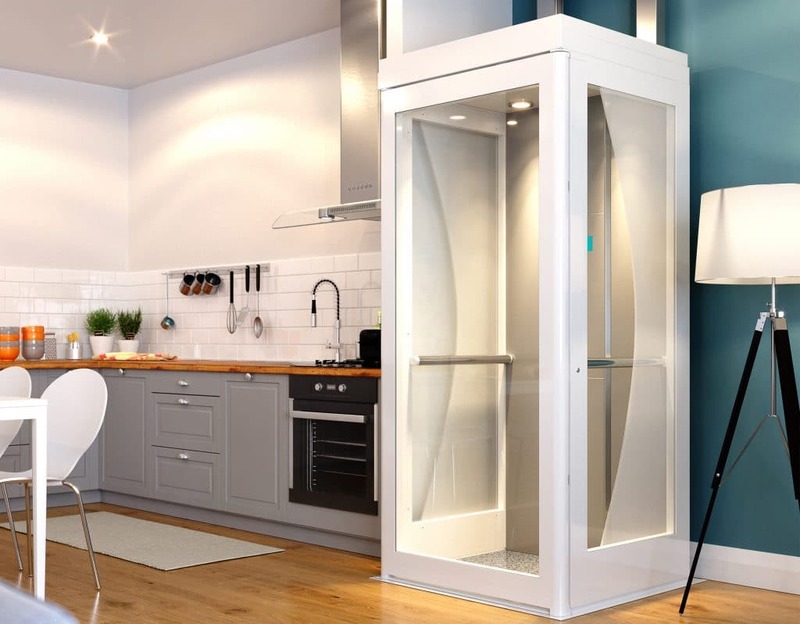 Our range of home lifts has been created to suit different needs and budgets using knowledge gleaned from users, healthcare professionals and our own experience. 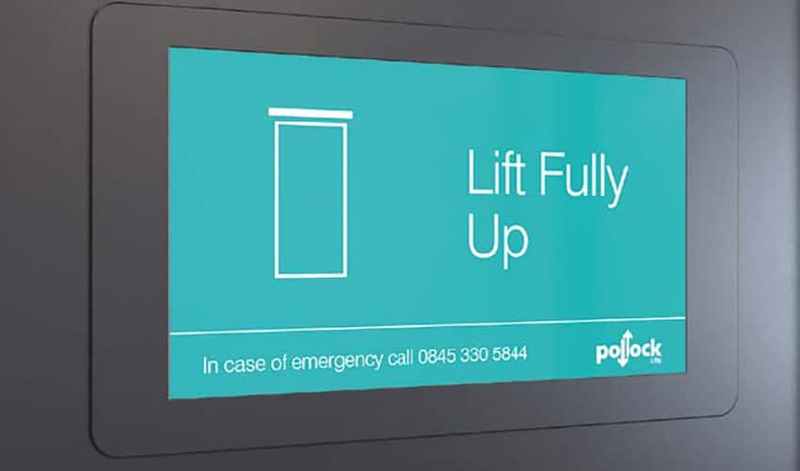 Call 0800 470 0440 or email us to order your free Pollock Lifts information pack. The experts at Pollock made the whole experience stress-free.